Marlen International, Inc. [“Marlen”], a global manufacturer of highly engineered food processing equipment and systems, and a member of the Duravant family of operating companies, will be exhibiting its newest Carruthers, Afoheat, and Unitherm food processing equipment innovations at ANUGA FoodTec at Koelnmesse in Cologne, Germany. 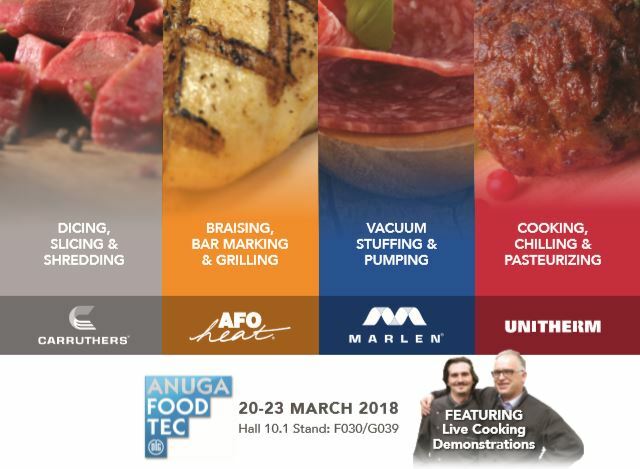 Marlen will be showcasing its latest Afoheat solutions for grilling, braising, roasting, searing and bar marking which enhance the appearance, aroma and taste of food products. Afoheat’s continuous thermal processing equipment is known for innovative construction and sanitary design elements. 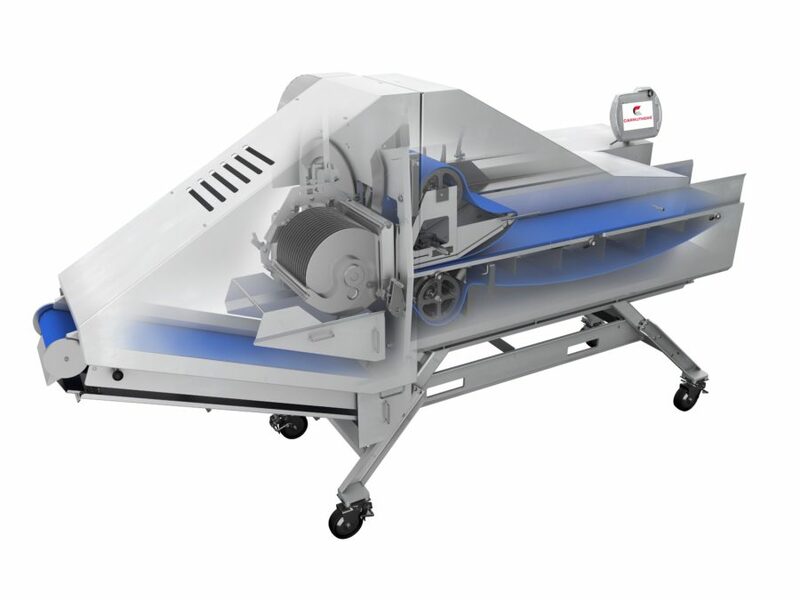 Marlen is also excited to unveil their newest Carruthers dicer – a VFD version of the new DuraKut™ 6000 Series. 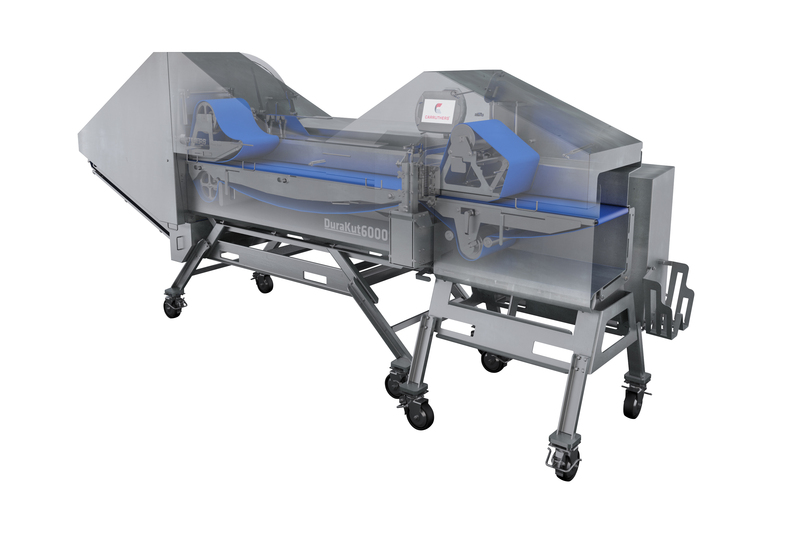 With sanitation and ease-of-use in mind, the 12” CE-Compliant machine is equipped with VFD motors for two-dimensional cubing and strip cutting of fresh or cooked food products and features a novel approach to a parts and sanitation cart for easy assembly and disassembly. With continuous flow processing and high throughputs, this next generation dicer platform is controlled via Allen-Bradley’s newest MobileView™ HMI for the most user-friendly and intuitive interface. From food processing, food packaging, safety and analytics to food ingredients and services and solution sectors, Anuga FoodTec brings together more than 1,500 exhibitors and over 45,000 visitors from around the globe who are focused on finding solutions related to manufacturing and packaging all types of food products. Marlen International is a premium manufacturer of highly engineered food processing equipment and systems specializing in high quality proteins and a variety of other food products. Sold under the brand names of Marlen, Afoheat, Carruthers, and Unitherm, their products have long set the standard for performance in pumping, stuffing, portioning, size reduction, thermal processing and food handling. 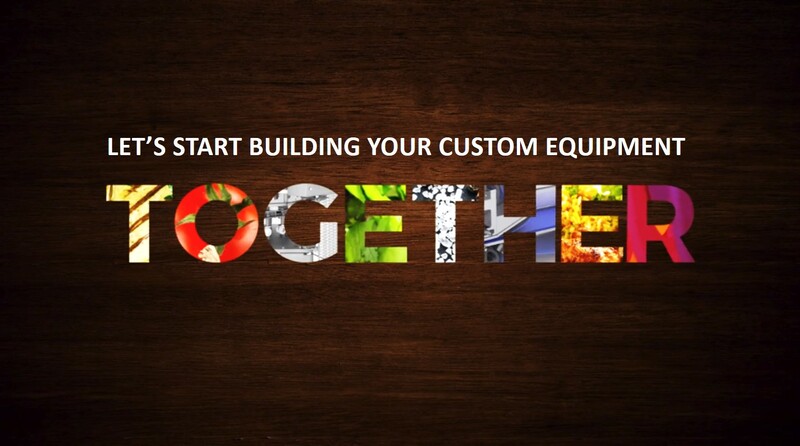 Marlen’s engineering, design and technical experts are recognized as industry consultants and process partners, serving the world’s leading food brands through the delivery of operational excellence for over 60 years. Marlen International is a Duravant Company. Headquartered in Downers Grove, IL, Duravant is a global engineered equipment company with manufacturing, sales and service facilities throughout North America, Europe and Asia. Through their portfolio of operating companies, Duravant delivers trusted end-to-end process solutions for customers and partners through engineering and integration expertise, project management and operational excellence. With worldwide sales distribution and service networks, they provide immediate and lifetime aftermarket support to all the markets they serve in the food processing, packaging and material handling sectors. Duravant’s market-leading brands are synonymous with innovation, durability and reliability. Visit www.duravant.com.